Is Carrie Lam wondering how she will govern such a divided city? Yesterday I spent four hours watching the election for the chief executive on Facebook Live, and I shouldn't have wasted that time when we already knew who the winner was. But I was curious to see how many votes Carrie Lam Cheng Yuet-ngor would get, and shocked she did get well over 750 votes. I was also very surprised her rival John Tsang Chun-wah could barely break 400. Several people were screwed over in this election, which makes it a bitter one. 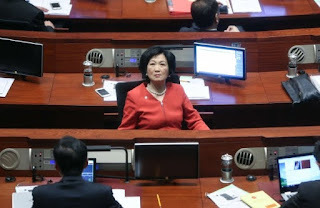 What will Regina Ip do now? Will she change tact? Regina Ip Lau Suk-yee has been a loyal pro-establishment supporter. What did she get for consistently towing the party line? She was outright rejected by Beijing at the nomination stage. What will she do next? Will she continue to speak on behalf of "Western"? Or will she think she has nothing to lose and become more centrist? The same goes for Tsang. Whatever he does, we hope he doesn't set up yet another think tank. The last thing we need is another body that churns out research papers that no one reads. Sadly Woo Kwok-hing had a terrible showing in the polls. He was a refreshing voice prodding the two other candidates to justify their actions or in-actions, and speak for the average person who is keen on justice and rule of law. It's just too bad he wasn't well versed enough in policy. 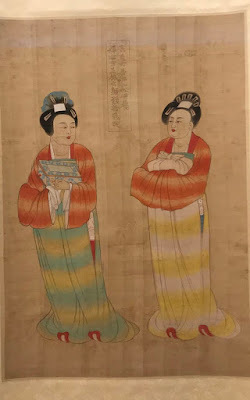 Luckily for him, he was already retired, so he will probably go back to his calligraphy, which he does very well, by the way. Chief executive-elect Lam was screwed over by incumbent Leung Chun-ying. It was reported that hours after her win, police contacted organizers of the Occupy movement to tell them they would be arrested. As of around 7pm this evening, the nine contacted arrived at Wan Chai Police Station. Just as when Lam said yesterday she would try to mend the rifts in society, this latest action by Leung's administration sabotages her chance to smooth divisions in the city. Joshua Wong Chi-fung, one of the student leaders in 2014, says both Leung and Lam are polarizing society. 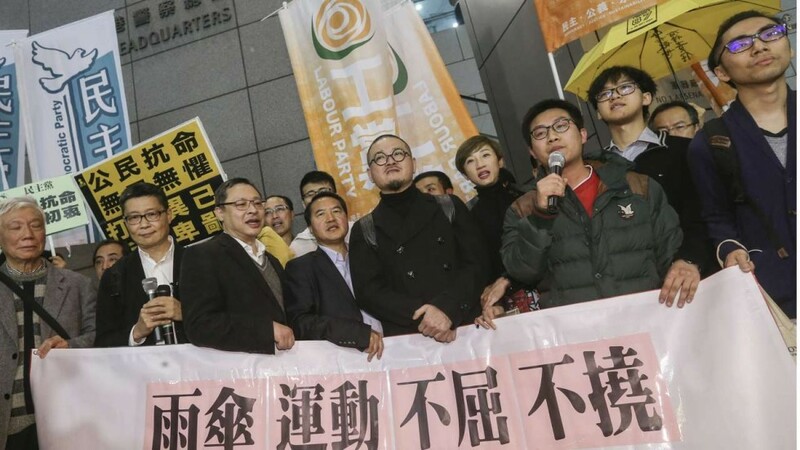 The resoluteness of the government will only harden the stance of localists and create further tensions. Maybe Leung is worried people will forget him when he leaves office? Meanwhile the people of Hong Kong have clearly witnessed Beijing manipulating the winner of the election. Beijing officials actively lobbied Li Ka-shing while Ricky Chim Kim-lung, who had nominated Tsang, was approached by liaison officers to change his vote. This kind of manipulation and heavy handedness does little to earn Hong Kong people's trust in Beijing. This is the real crux of the problem. The more the mainland meddles with what's going on in the city, the more locals get agitated and upset because they were promised "one country, two systems", but it seems less and less that way. After the election results were in, many Hong Kong people voiced their disappointment, anger, frustration, and sadness on Facebook. Some lamented, saying "Hong Kong is dead", or that they were going to emigrate, or "Today is a dark day". As one acquaintance pointed out, the election did not affect his daily life at all -- Hong Kong will continue to run the way it has been going, that it's not the end of the world. He was tired of people being so emotional and venting knee-jerk reactions on social media. While things don't seem to bode well for all of us considering all the issues at hand, we can try to make Hong Kong a better place starting with our own circles of communities, with friends, family, colleagues at work. In the end that's what really matters. We're all in this together, so let's make the most of what we have and fight for what we believe in. Most importantly, people -- especially who care about having democracy, rule of law, etc. in Hong Kong -- should not just give up and, instead, keep on voicing dissent and caring for Hong Kong.